Today’s Future Professionals meeting is going to involve a cow being abducted by a UFO. Create a Flash ActionScript 3 file. Created a movie clip of a UFO. 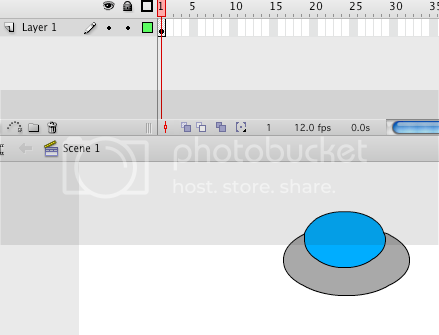 Create a new layer and put a movie clip of a teleporting ray on that new layer. Drag the ray layer underneath the UFO layer to make the ray underneath the UFO. 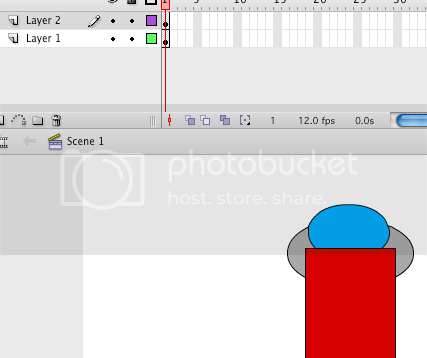 Insert a keyframe on frame 10 of the two layers. Click on frame 1 of the ray layer. Click on the ray movie clip. In the movie clip properties window, where it says ‘Color: None’, change it to ‘Alpha’. Drag the Alpha down to 0%. Select all of the frames on the ray layer. CTRL-click/right-click on the highlighted frames in the timeline. Choose ‘Create Motion Tween’. Now it’s up to you to add a new layer, the cow layer, and do a motion tween to have it disappear inside the ship.